The Space Shuttle cost approximately $1.7 billion. An average cost to launch a Space Shuttle is about $450 million per mission. At liftoff, an orbiter and External Tank carry 835,958 gallons of the principle liquid propellants: hydrogen, oxygen, hydrazine, monomethylhydrazine, and nitrogen tetroxide. The total weight is 1,607,185 pounds. Space shuttle is designed to travel in low-Earth orbit. It does not carry enough propellant to leave Earth's orbit and travel to the Moon. On May 11, 2009, Michael J. Massimino, is the first astronaut to tweet from space shuttle "From orbit: Launch was awesome!! I am feeling great, working hard, & enjoying the magnificent views, the adventure of a lifetime has begun!" Astronauts brush their teeth just like they do on Earth. There is no shower on the orbiter, so astronauts must make do with sponge baths until they return home. 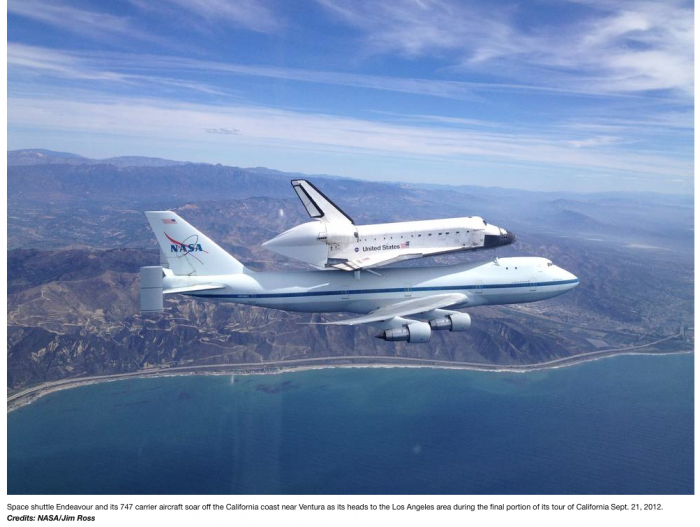 Each Space Shuttle has a toilet that can be used by both men and women. Designed to be as much as possible like those on Earth, the units’ use flowing air instead of water to move waste through the system. Solid wastes are compressed and stored onboard, and then removed after landing. Wastewater is vented to space.